What’s all the hype about polarized sunglasses? A pair of Oakley sunglasses not only looks great, but their high-tech HDPolarized lenses can enhance all of your favorite sports and outdoor activities. Polarized lenses from Oakley can even improve performance. If you’re wondering how polarized lenses can make such a difference, consider this scenario. You step outside in your brand new sunglasses. You got them for free with a bunch of other promotional giveaways at your last half marathon. Oh yeah, these look good, you think to yourself. Making your way to the sidewalk, you press play on the first song in your running mix. Picking up speed, you notice an intense glare reflecting off the pavement, your eyes tearing up slightly due to the burn. Wanting to escape the glare and hoping for a more scenic route, you venture to the park near your house. However, your dark lenses do nothing to enhance the scenery and dull the view instead. You return home defeated, wondering if there is a better way. Oakley has a solution: HDPolarized lenses. What Do Polarized Lenses Do? You may have heard the word "polarized" tossed around before, but you're not really sure what it means. Are polarized lenses worth it? Without getting too much into the science, polarized light is light that bounces off surfaces, reflecting light and creating glare. Polarized lenses filter out polarized light. In addition to pavement, water and snow also cause glare when the sun reflects off them. Not only is glare annoying but the UV light from the glare can harm your eyes. Polarized lenses can significantly reduce glare, and when combined with UV-blocking lenses, you’re both comfortable and protected from harmful UV rays. Why Choose Oakley Polarized Lenses? 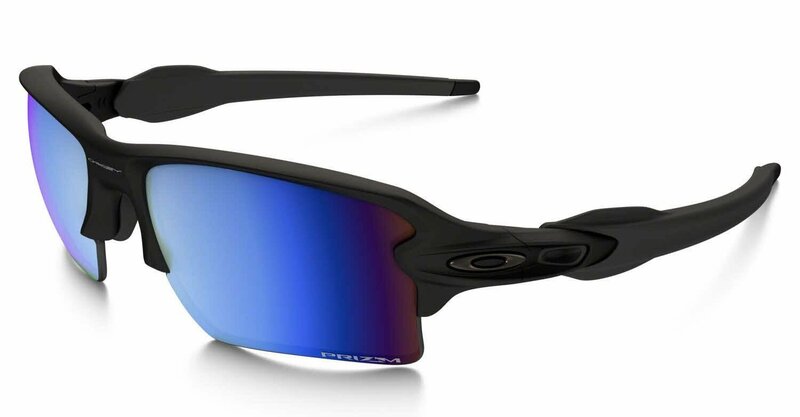 Oakley polarized lenses are some of the clearest lenses on the market. 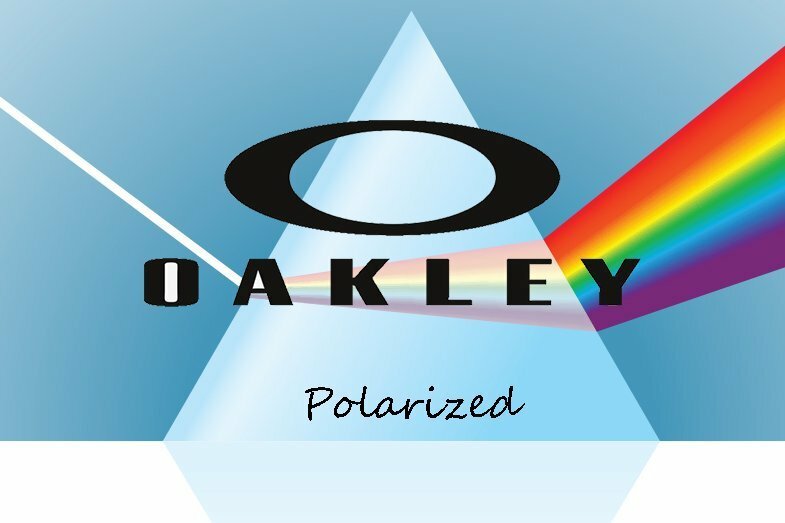 While other brands use layers of films and glue to attach polarized filters, Oakley uses infusion molding to make their HDpolarized lenses. Lens pairs are manufactured at the same time—unlike other polarized lenses out there—so you are sure they offer a perfectly-aligned axis of polarization. As a result, their one-layer polarized lenses prevent distortion, blur, and shifting of objects when you look through them. You can choose from a wide range of lens options based on outdoor light conditions. For example, if you are going to be out on the boat, Bronze Polarized or Deep Blue Polarized lenses are ideal for filtering out the glare from the water. 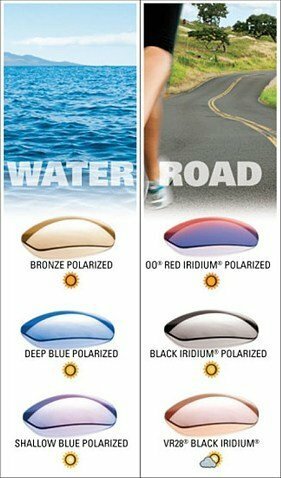 If you go for a run, OO Red Iridium Polarized or Black Iridium Polarized lenses are the best choices to block the glare reflected off asphalt. Not only is Oakley at the top of its game when it comes to polarized sunglasses but they have many different styles, whether you are looking for a sporty pair of sunglasses for extreme performance, an active pair with some performance features, or a lifestyle pair for daily use. We’ve rounded up our top picks for polarized sunglasses across all of Oakley’s styles to make the most of every adventure. 1) Flak 2.0 XL Sunglasses, a best-selling style, show how Oakley redefines sport sunglasses using the newest technology from their labs. 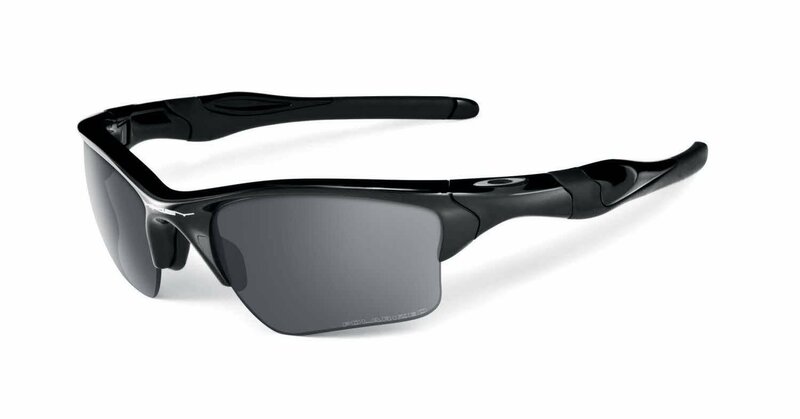 Also, see the Oakley Flak 2.0 XL Prescription Sunglasses and Flak 2.0 XL Replacement Lenses. 2) Holbrook Sunglasses are inspired by vintage frames, making them some of the most fashionable sunglasses in the Oakley collection. Add your prescription in the Holbrook RXSunglasses. 3) Twoface Sunglasses feature flexible temples that allow for a precise and comfortable fit. 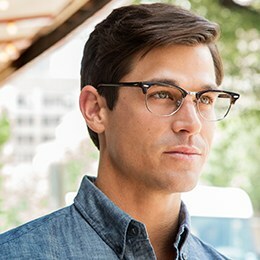 This frame is perfect for men who aren't extreme sports participants but still have an active lifestyle. Also, see the Twoface Prescription Sunglasses to get Oakley polarized lens technology made in your prescription. 4) Fives Squared Sunglasses are stylish, square-shaped frames that offer the durability and comfort you would expect from Oakley, perfect for on-the-go types. 5) Gascan Sunglasses, like most of Oakley's sporty frames, are made of O-Matter, Oakley's innovative lightweight and durable material. Oakley Gascan Replacement Lenses are available—so your polarized sunglasses remain in top form even if your lenses have seen some bumps along the road. 6) Turbine Sunglasses—and many other Oakley frames—use Unobtainium, a patented material that increases grip with sweat, on the temple tips and nose pads. This style is also available in Prescription Sunglasses. 7) Feedback Sunglasses are a sleek pair of women's aviator sunglasses that provide sun protection and style for the casual look. Try Oakley Feedback Prescription Sunglasses for a fantastic pair of sunnies for driving or just hanging out. 8) Oakley Radar EV Path is a semi-rimless frame featuring Oakley’s signature sculptural, high-tech design. 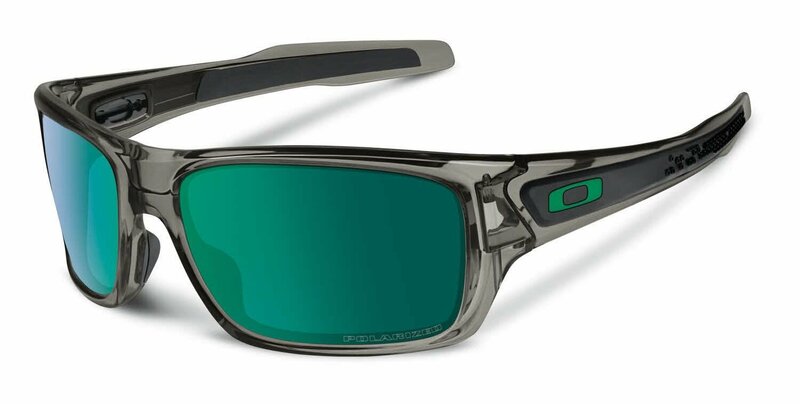 Oakley is known for their precision craftsmanship and innovation. We’ve also got you covered with Radar EV path Replacement Lenses and Radar EV Path Prescription sunglasses. 9) Half Jacket 2.0 XL are a sleek men's pair perfect for athletes to wear during their workout (or on a more laid back day.) Because we know how hard you play, check out the Half Jacket 2.0 XL Replacement Lenses. 10) Batwolf Sunglasses feature an impact resistant, wraparound shield lens that can take on a variety of sports. They’re lightweight, comfortable, and ready to roll. Polarized lenses can cut glare for increased performance on the water, trail, court, or golf course. Oakley’s HDpolarized lenses offer technology made to handle the demands of athletic pursuits but are also a perfect sporty option for day-to-day wear. Pick the pair of Oakley polarized sports sunglasses made for the way you play.